Mount your GoPro to your bodyboard, soft-top or foam surfboard/SUP to capture your session from the barrel to the beach. 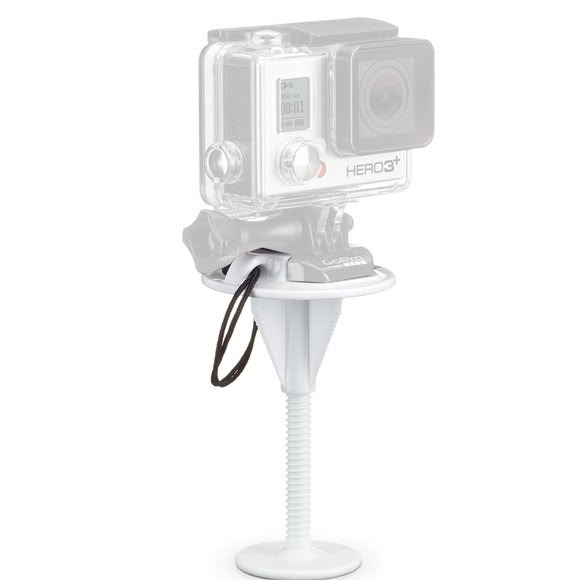 Shoot immersive POV footage, or point the camera back towards yourself to capture selfies while surfing or SUPing. Compatible with boards 1.5 to 3.5 in. (3.8cm to 8.8cm) thick. Installs like a bodyboard leash plug in a few simple steps (screwdriver required). Mount your GoPro to your bodyboard, soft-top or foam surfboard/SUP to capture your session from the barrel to the beach. Shoot immersive POV footage, or point the camera back towards yourself to capture selfies while surfing or SUPing. Compatible with boards 1.5 to 3.5 in. (3.8cm to 8.8cm) thick. Installs like a bodyboard leash plug in a few simple steps (screwdriver required). Includes a camera tether and locking plug for added security in heavy surf.